This beautiful infographic was created by graphic designer and illustrator Jonathan Hull. 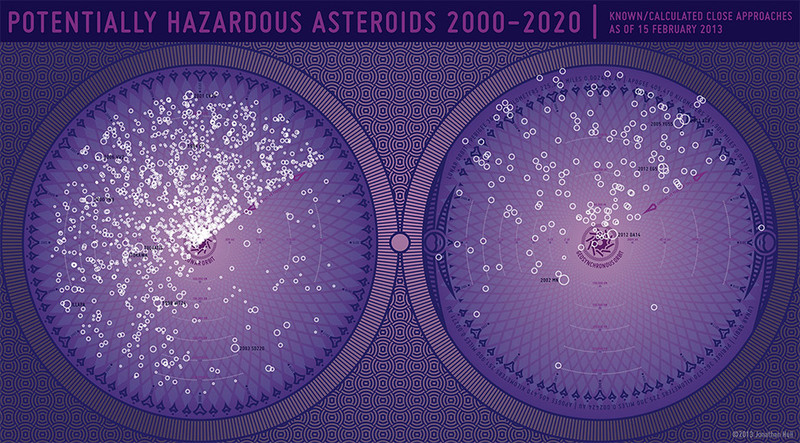 Hull has taken NASA data on potentially hazardous asteroid encounters and created a plot showing the proximity of each asteroid by the year in which it passed or will pass by Earth. Click here for the full-size version of the image.